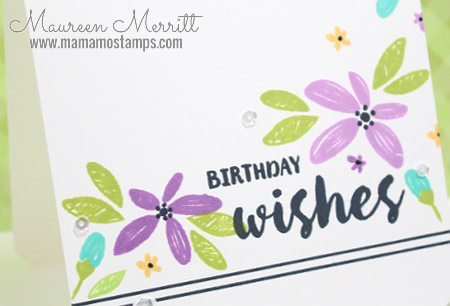 I'm up today over at the WPlus9 Design Studio blog sharing a few tips for making one layer cards. 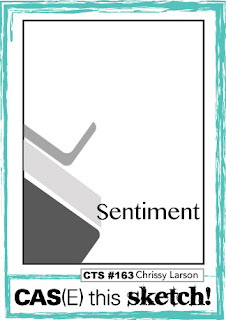 While I was at it, I went ahead and made another card just for my blog. 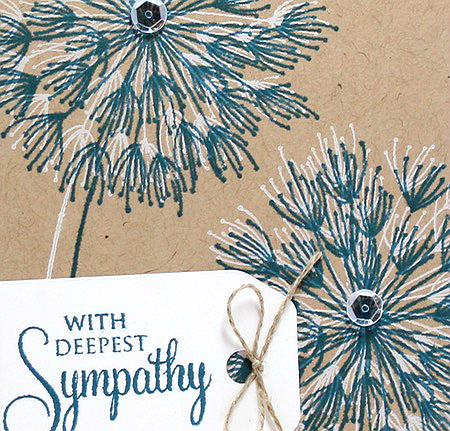 Head on over to the WPlus9 Design Blog to see my Tips for One Layer Cards. Thanks so much for stopping by! I hope you will try your hand at a one layer card! I'm up over at the WPlus9 Design blog today sharing two cards using the Chalkboard Technique. In support of Michele Gross and her Calling All Sistahs campaign, I'm popping in to remind you that it's time to do your monthly self-exam. I made a card for the occasion too! Head over to CAS-ual Fridays where you can find the Calling All Sistahs Blog Hop . Also drop by the CAS-ual Fridays store to purchase the Calling All Sistahs collection. 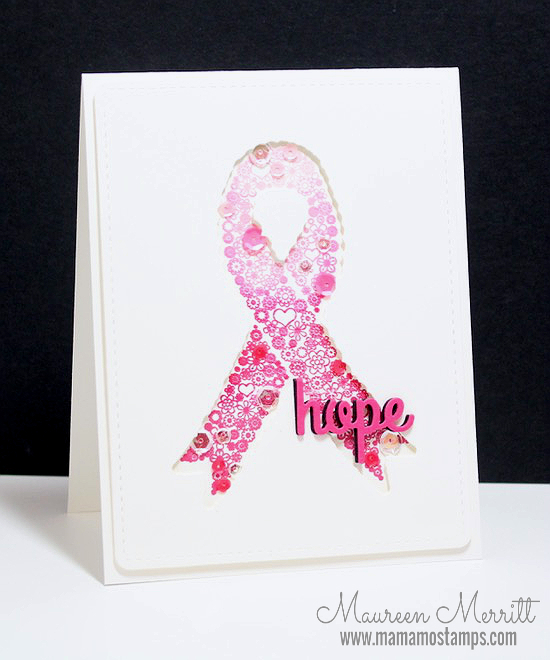 50% of the proceeds from the collection are donated to breast cancer research and awareness. Do your part to spread awareness by reminding your "sistahs" to do their monthly check! Masculine cards and one layer cards (OLC) seem to be what you all want to see. 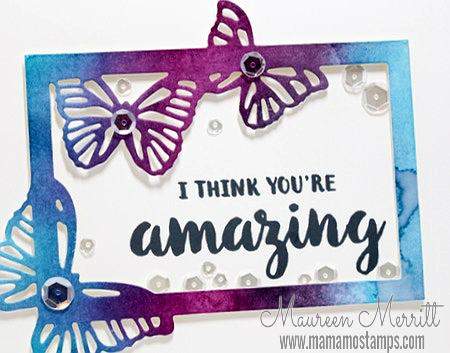 Both are a struggle for a lot of stampers, so I hope you like what I've made for you today. A OLC can be completely flat or it can have some added die cuts, like I've done above, it just can not have any other panels. Stenciling is a great way to add texture and interest to the base of a OLC, as well as a way to ground your images. 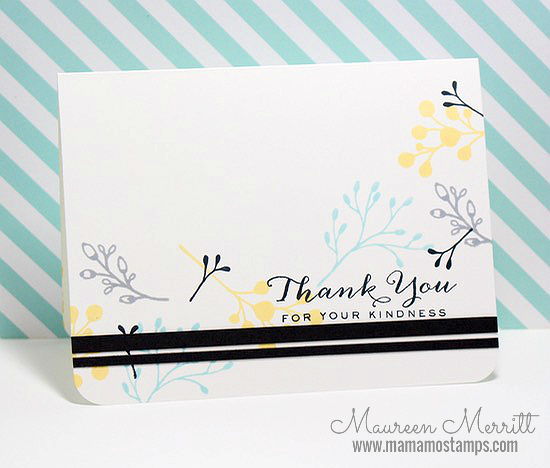 Rather than adding strips of patterned paper or cardstock to your card, use border stamps. Graphic patterns are always a hit with the gents. Use various shades of the same color. A little glitter is OK! We love glitter and want to use it on masculine cards and we should! Shimmer card stock for stars is perfectly acceptable on masculine cards. I used this week's CAS(E) this Sketch challenge to jump start my design. If there is anything you ever want to see on my blog, just leave me a comment below. 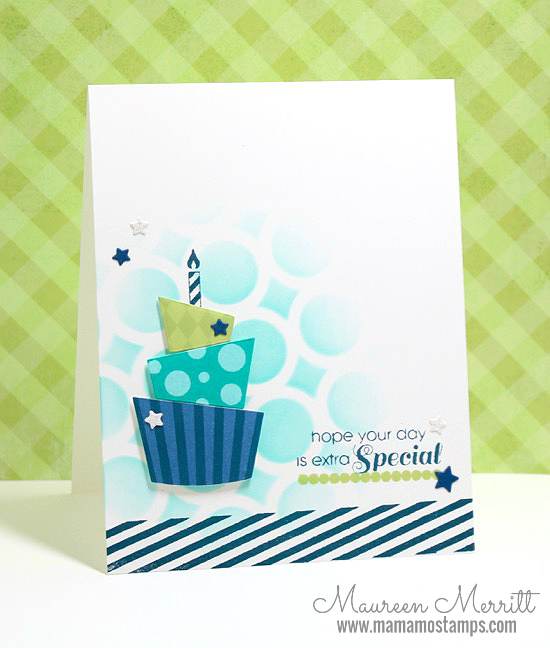 **All supplies are from the Stamp of Approval Young at Heart Collection. Get on the wait list so you will be notified when the next collection becomes available. 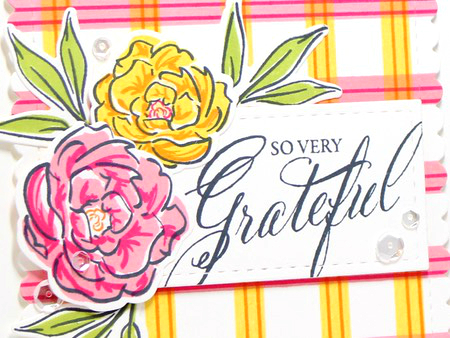 I hope you'll pop on over to the WPlus9 Design Blog to see my full card! Crazy for Plaid, Pink & Yellow! I finally have a card to post for YOU and just you. 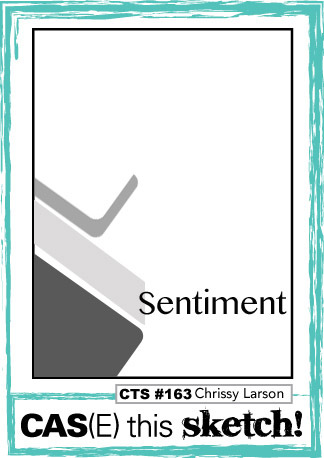 It has been so long since I sat down and stamped just for my blog. I had an absolute blast! Please remind me to do this more often. I'm super excited to share my card with you! I have a two new obsessions. First, PLAID! Kristie's recent Trends Article on StampNation has me ga-ga for plaid! I can't get enough of it. Catherine also did a fun tutorial making her own plaid paper using Copic markers. It was time I played along too, so I went ahead and stamped my own plaid background using Country Charm in what happens to be my second new obsession, PINK & YELLOW! Yellow is not a color that I normally use but I'm loving it paired with pink lately. I just can't seem to put these two colors away! It's such a fun Spring combo and it looks great when combined with other colors too. Get used to see seeing these a lot in the coming future! I hope to do more stamping for my blog. What do you want to see? 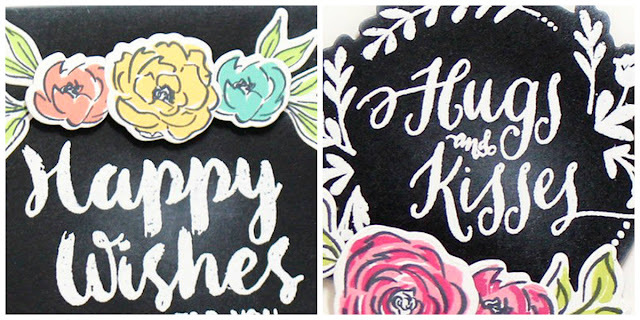 One Layer Cards (OLC), masculine cards, Mother's/Father's Day, card sets? Leave me a comment and I'll incorporate some of your requests in my upcoming posts!